If you are looking for an environmentally-friendly way to clean your building exterior, pressure washing can do the trick. In many cases, pressure washing is a good first step before you lay a fresh coat of paint, providing you with a more beautiful and long-lasting result. 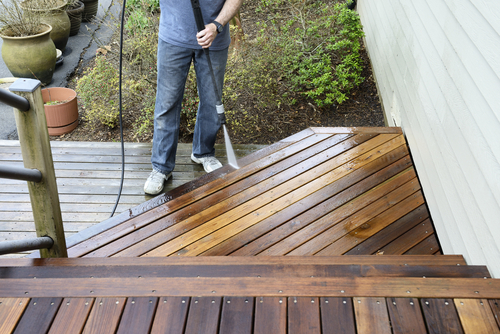 At Jeff Newlin Painting, we are your one-stop shop for your pressure washing needs. Whether you want a one time cleaning or wish to set up regular maintenance, call us today to find out how we can help.